Tons of Drugs have crossed the border from Albania to Italy and make it a fact that this kind of trade has had police protection. For this reason, since 2013 the Italian anti-mafia police have launched an investigation that recently put behind bars a group of Albanians and Italians who were arrested by the Italian Prosecution in collaboration with Guardia di Finanza. During the operation, coded Rose of the Wind, the Italian counterpart investigation have found that the criminal group in recent years had been able to transport from the Albanian coast to Italy over 3.5 tons of marijuana, seized with weapons, mostly Kalashnikovs, other ammunition, and 20 thousand euros cash. The narco-traffic group targeted the distribution areas of Catania, Ragusa and Siracusa. 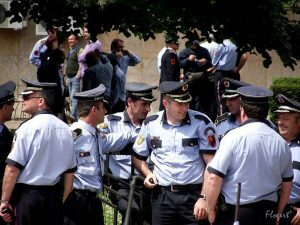 Arrested by the Albanian police are Moisi Habilaj, Maridian Sulaj, Fatmir Minaj. The name of Moisi Habilaj, who is thought to be the leader is not unknown to the Albanians; he has been mentioned by a police officer named Dritan Zagani, who has sought asylum in Switzerland, denouncing him as a drug trafficker protected for his criminal activity by former Interior Minister Saimir Tahiri, with whom the suspect has a distant family relationship. After receiving a voluminous file with interceptions of the criminal group, part of which was Habilaj, the prosecution requested to the council of mandates to lift the parliamentary immunity of former Minister Saimir Tahiri, who is now a member of the parliament, to be able to restrict his freedom and to search his house. This request was accompanied by numerous debates in the council. The government in power did not want to abandon its former minister, nominated by Prime Minister Rama as one of the most successful, arguing that the evidence available by the prosecution is not convincing. The council came out with two legal versions of a bill that are going to be presented on Wednesday 25 to the parliament, with the opposition seeking to lift the immunity for the former Interior Minister, who is also the head of the Socialist Party of Tirana, the party which is governing the country. PM Tahiri denied the connection with this criminal group, claiming that his sole liability was the fact he sold his car to the Habilaj brothers. He used the car several times after the sale for vacation purposes with his family, at a time the Habilaj clan were under investigation by the Italian police, serving as a key factor according to the Albanian prosecution to prove their relationship. The Prosecution three nights ago initiated an action in Babica village of Vlora to arrest other members of the Habilaj group mentioned in the interceptions of the Italian police. The operation was thought to be leaked and no wanted traffickers were arrested. A speedboad and 4.5 packaged drugs stored in the basement of a villa were seized. In surveillance recordings of the Habilaj brothers and other members of the group, the name Saimir is common. They talk about large sums that are given to this person without being clear about who he is. After sensitive information was leaked from the commission, the Prosecution has put under witness protection a police officer who according to them can testify to the relation of the Habilaj brothers with former Minister Tahiri. Some of the strongest evidence the prosecution has is the TIMS system to prove the relation of the former Minister with the Habilaj brothers. Prosecutor Besim Hajdarmataj, during the debate over lifting Saimir Tahiri’s immunity, cited a flagrant case when Tahiri himself had traveled to Greece. After a few days, Artan Habilaj was registered via the TIMS system traveling to Greece with the car he had bought from the former Minister, an Audi with plate number AA 003 GB, which reentered the country driven by the former Minister. While we are going to wait until Wednesday to learn what the MPs will decide on Tahiri’s fate, one thing worth mentioning is the fact that the tons of drugs seized in the last few days show only one thing-Albania in 2016 was filled with illegal drugs and even if it was not under the blessing of former Interior Minister Saimir Tahiri, without any doubt it was planted and cultivated under the eyes of dozens of lower-ranking police officers who have approved this kind of trade. IRENA SHABANI Is an Albanian freelance journalist and human rights activist specialising in investigative journalism. 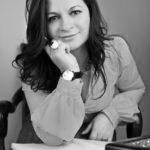 She co-founded Panorama, the leading newspaper in Albania, where she served as managing editor from 2002 to 2003. Prior to Panorama she was a journalist at Shekulli and Gazeta Shqiptare and has been part of the Albanian Human Rights Group from its beginning. She has collaborated on programmes for the International Research and Exchanges Board, investigating topics involving crime and political corruption and continues to collaborates with foreign organisations and local media focused on social problems and minority rights.